In his most recent Recruiting Daily article, “High quit-rate problem? You can fix that,” Orion CEO Mike Starich explores retention concerns during a tight labor market. “3.5 million workers voluntarily left their jobs in April 2018, the highest quit rate since the dotcom boom peaked in 2000,” writes Mike. 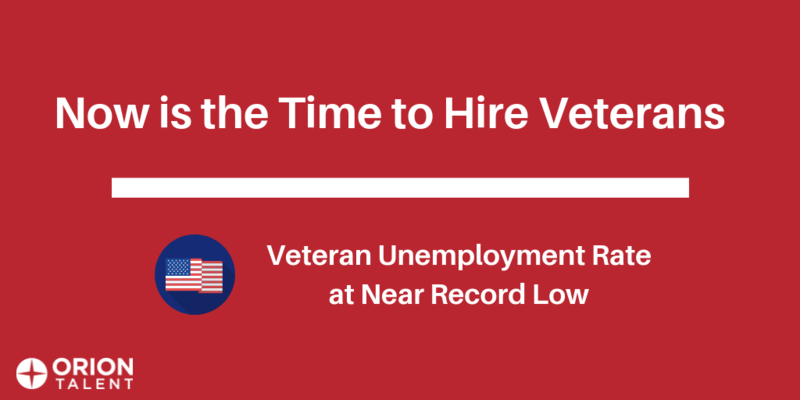 Reasons for high quit rates include high demand for talent and lower wages among others. Orion has proudly partnered with Concrete Polishing and Restoration (CPR), a nationwide industrial flooring company, to provide rewarding careers for former and transitioning service members. With its steady, continued growth and highly skilled workforce, CPR is considered the industry's most elite applicator of polished concrete systems. It’s the time of year when we reflect on all that we have to be thankful for in our personal life. This is also an important part of your professional life. Evaluating what you are thankful for at work helps you fine-tune your goals for the next year. 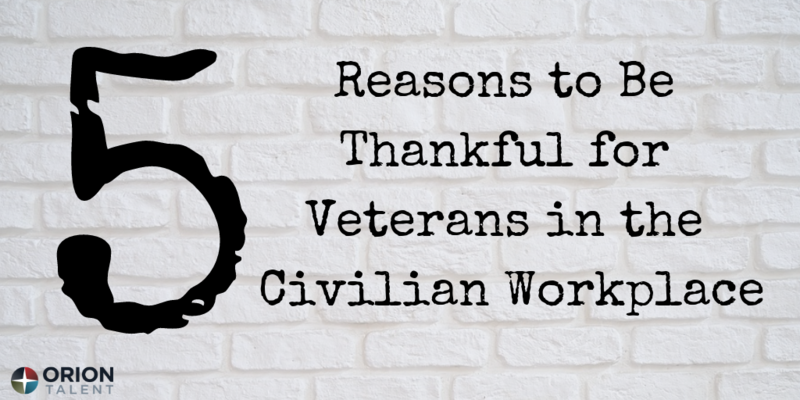 One thing we can all be thankful for professionally is the impact veterans make every day in their civilian jobs. 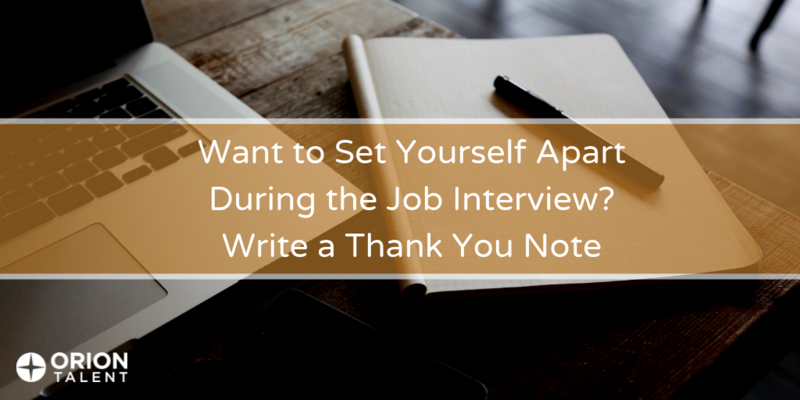 As we come upon the Thanksgiving holiday and reflecting on all that we have to be thankful for, an important and fitting step in the interview process is writing a thank you note to everyone that you interviewed with. This is perhaps one of the most commonly overlooked steps, but taking the time to write a concise thank you note can turn you from a potential hire into a definite hire. 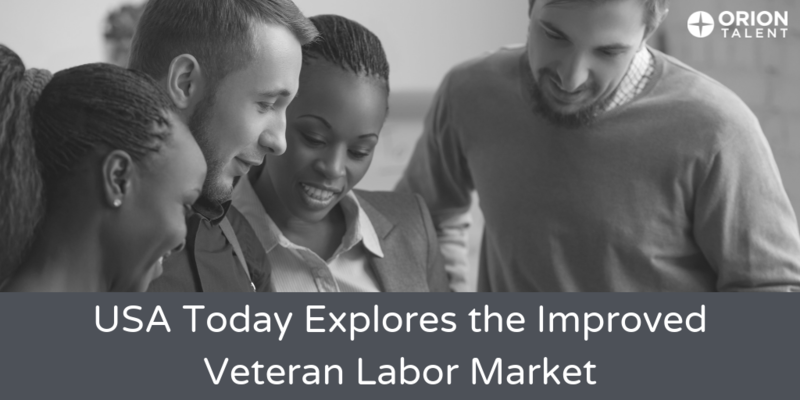 Transitioning from a military career to the corporate world can be a trying process for the nearly 220,000 U.S. veterans who leave Active Duty each year. Along with the common stressors of translating your military experience to a civilian career and adapting to a new environment, a military-to-civilian transition can bring some unique challenges that you may not have anticipated. 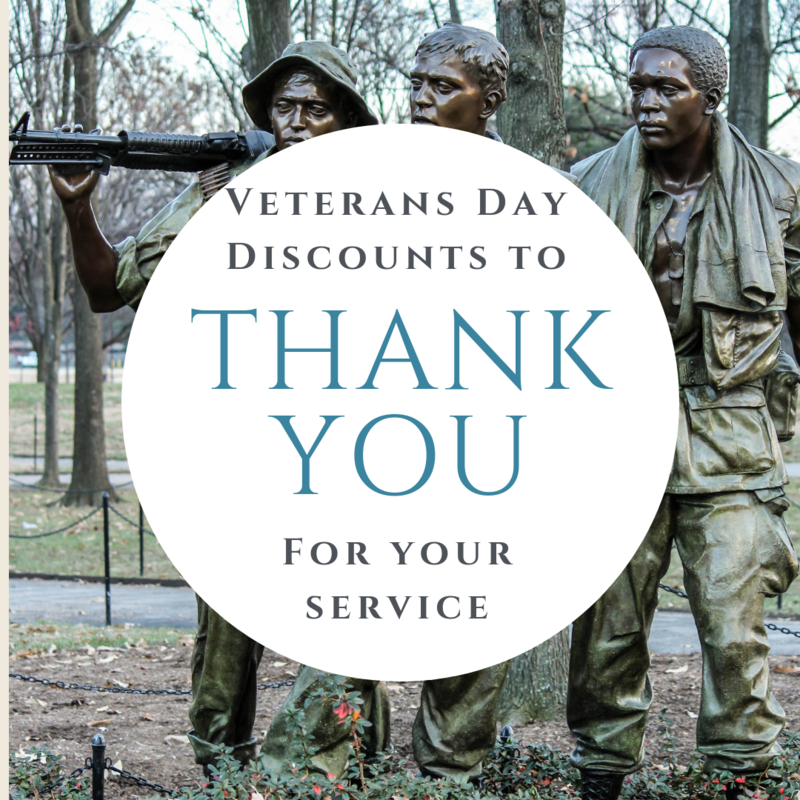 Sunday, November 11th marks Veterans Day, a federal holiday to commemorate and honor all those who have served in the US military. The holiday coincides with Armistice Day, which is celebrated in other parts of the world to honor the signing of the Armistice that ended World War I, ending hostilities at the 11th hour of the 11th day of the 11th month in 1918. 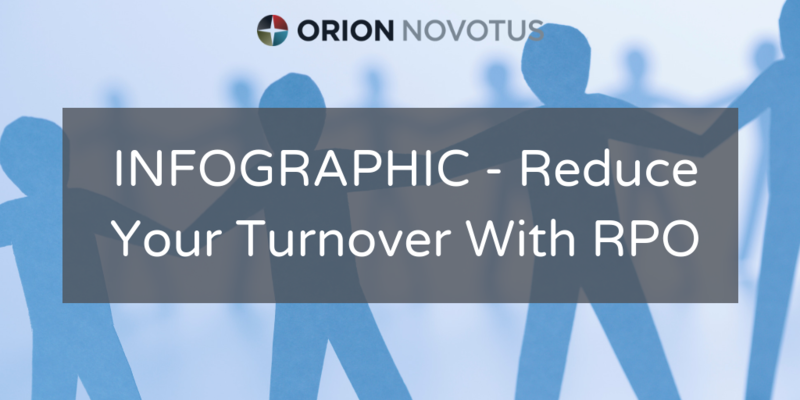 How does high turnover negatively impact your organization? The organizational cost of employee turnover is estimated to range between 100% and 300% of the employee which you are replacing. The negative effects include high recruiting costs, decreased employee morale, and damage to your employer brand. Follow Orion Talent on Social Media for Job Opportunities, Event Updates, and More! 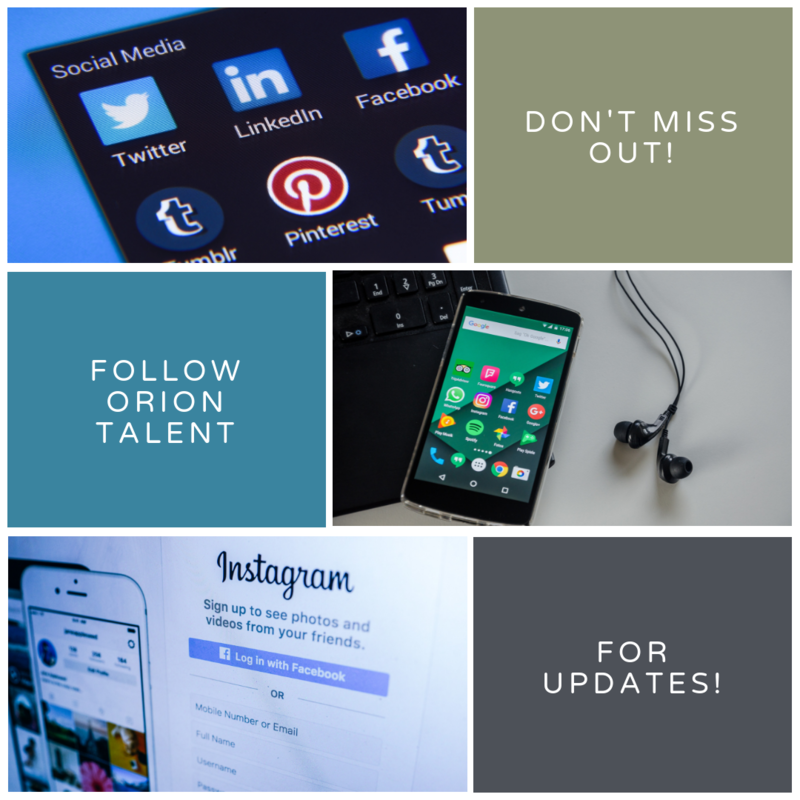 Are you following Orion Talent across our social media platforms? Keeping up to date with Orion on social media is a great way to stay in touch with various job opportunities, hiring conference event updates, upcoming base visits, testimonials, contests, and more.